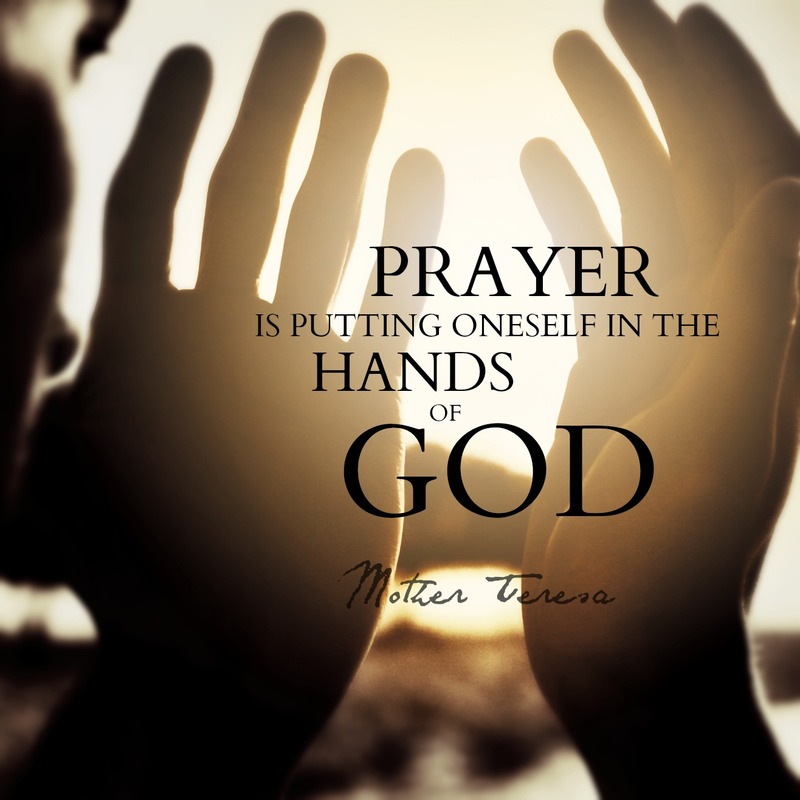 In layman’s terms “prayer” can be defined as, “a solemn request or entreaty for help or an expression of thanks addressed to God in word or in thought.” Prayers that are offered may be in the form of adoration, supplication, or thanksgiving. Not all prayer needs to be audible to be acceptable to God, but all prayers should come from the heart with the pure intent of listening for and accepting the answer that is given by Him. As the Psalmist declared, “Let the words of my mouth, and the meditation of my heart, be acceptable in thy sight, O Lord, my strength, and my redeemer (Psalm 19:14). 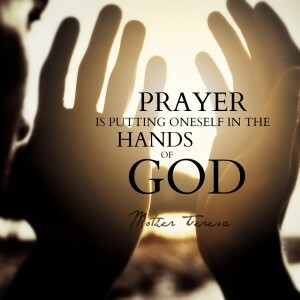 Prayer is personal communication with God. Even though He already knows what we stand in need of before we ask Him, still He invites us to “Ask, and it shall be given you; seek, and ye shall find; knock, and it shall be opened unto you” (Matthew 7:7). However, James reminds us that sometimes, “Ye ask, and receive not, because ye ask amiss, that ye may consume it upon your lusts” (James 4:3). And so, we should make sure that our prayers are meaningful prayers, and learn to expect that His answer to our prayers will be in accordance with His perfect will. To commune with someone is to share our intimate thoughts or feelings with that someone. Communing with God then is to have an intimate conversation with Him, expressing our deepest thoughts and innermost feelings. He is our Heavenly Father, and like our earthly father, He wants to hear from us. An earthly father at times may find himself “too busy” to hear his child’s humble requests. One of the blessings of having a personal communion with our Heavenly Father is that He is never too busy to listen to us or to speak to us. However, when He does speak, we need to have our hearts and minds attuned to His message. I view my personal communion with the Father as being comparable to a battery that is drained and needs to be plugged into a charger. I am that drained battery at times, and He is the One who refreshes my charge to allow me to press on. I also view my personal communion with the Father as a song of my heart. Not a sad song, but a song of jubilation as I thank Him for all of the many blessings that He has bestowed upon me – blessings that may have been so undeserved at times, yet He gave to prove His love for me. Being proffered the opportunity to have personal communion time with my Heavenly Father also blesses my life in that it helps me to gain a deeper appreciation of His deep abiding love for me, and helps me to better understand and realize that even if I had been His only child, He would have still suffered, bled, and died, just for me. As mentioned earlier in this treatise, prayers do not always have to be audible. Sometimes our prayers may be expressed in sincere thoughts of adoration and gratitude. I close with a personal example from my journal writings. I wrote this on the eve of my 13th anniversary as a member of The Church of Jesus Christ of Latter-day Saints (inadvertently referred to as the Mormon Church by the media and others.) This is in essence a prayer of eternal thanks and gratitude written in the form of a personal letter addressed to my Heavenly Father. The writing is titled One Eternal Song of Praise. I, one of your willing, humble servants, truly stand amazed at the love that you offer me. How can I say thanks for the things you have done and continue to do for me? So many of the blessings that you have bounteously bestowed upon me are so undeserving, yet you continually give to prove your unconditional love for me. It is wonderful for me to know that I am your child, and that you are always there walking right beside me, leading me, and guiding me in the way that I should follow. Even at times when I may have veered from the straight and narrow path, you lovingly and patiently allowed me to endure certain trials, heartaches, and disappointments to help teach me important lessons that were necessary for my continual spiritual growth, and to gently guide my footsteps back onto the road that leads towards home and back into your loving arms. The voices of tens of thousands of angels could never adequately express the gratitude and the love that I have in my heart for you. You are my all! You are my everything! How can I arise from my slumbers of the night – sweet rest which only you can give – and not give thanks unto thee for bringing me to the beginning of a brand new day? You do not have to allow me to arise each morning, fully clothed in my right mind, and with the full use of my faculties, but you do. Therefore, I will rejoice and be glad in each day that thou hast given me. Teach me to humbly number those days that I may continually apply my heart unto wisdom. Let me not spend any hour of any day selfishly, but give me a servant’s heart that is filled with love and compassion for others. Gently remind me that because I have been given much, I too must give. For it is because of thy great bounty each day I live and have my being. How dare I become boastful or proud of the things that I may be able to achieve in this life? May I ever be mindful that every good and perfect gift comes from above, and that it is you who allows me to do the things that I do, and to achieve any success in life. Teach me, dear Father, to let any accolades and praises that I may receive, come from the lips of another and not mine own. Let me not live my life focused on self, but let me live my life pleasing to thee with an eye single to your glory. For you alone are worthy to be praised. How can I live my life from day to day and not know that I cannot make it on my own? In the morning when I rise, I need thee. In the noon day hour, I need thee. In the quietness of the night, I need thee. When the sun is shining or when the winds of adversity are blowing and the storm winds are raging, I need thee. Whether atop the highest mountain, or down in the lowest of valleys, I need thee. I need thee every hour. How thankful I am that you are always just a prayer away and you have promised never to leave me nor forsake me. Even if I walk through the valley of the shadow of death, thou art with me. Thy rod and thy staff, they comfort me. Therefore, I am blessed with the calm assurance that I am never alone, no never alone. There is none like you. My heart is full and rejoices as it sings out, “How great thou art!” You are my Lord, my Savior, my Master, and my King. You are my Daystar and my Song in the night. Within my soul will forever be a song of praise for thee – one eternal song of praise! What Did Jesus Teach About Prayer?